All in One Body Smoother Skin - the original Magic Knickers - from Trinny & Susannah Shapewear by Cette. 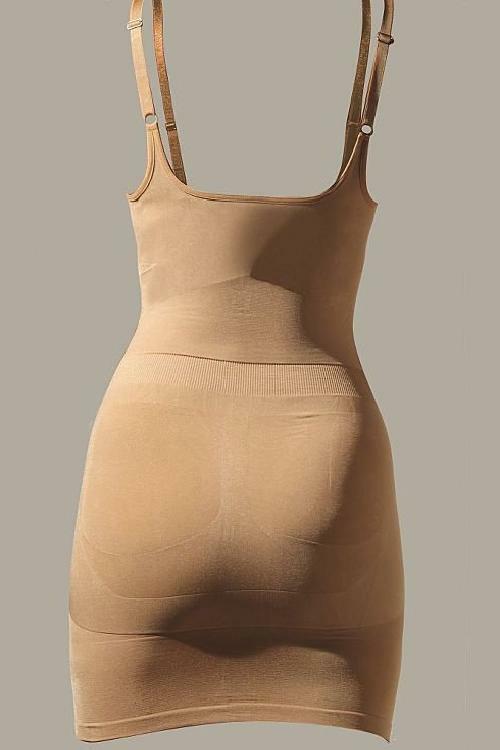 Lycra High waist shaping skirt, full silhoutte lifting & shaping: Creates a slimming effect for the buttocks & tummy, smoothes out lumps and bumps at the back, sides and rib cage up to the thighs. Because of the skirt, it is easy to visit the ladies room. No visible seams therefore perfect with our pencil skirts and dresses. Banishes saddlebags and lifts the buttom. 'Brings back a firm & youthful body! So invisible even under extremely tight clothes' that is how Trinny and Susannah - known from What Not To Wear (BBC), Mission Holland (RTL4) and Mission Vlaanderen (Vitaya) - call their Tum, Bum and Thigh reducer.